Sadly, Marc Maron has decided to end his show Maron after it’s fourth season. Personally, I thought it was just as as good as his podcast. Especially, if you wanted to actually see Maron work through his personal issues instead of just hearing him talk about them. Anyway, here’s a wrestling-ish episode that features CM Punk and Colt Cabana, both of whom were guests on previous episodes of WTF with Marc Maron. While most people on Netflix were probably checking out DJ Tanner from Fuller House La Magistral Cradling Los Pollos Locos, they were probably too high on their nostalgia trip to check out another Netflix original show that featured wrestling. 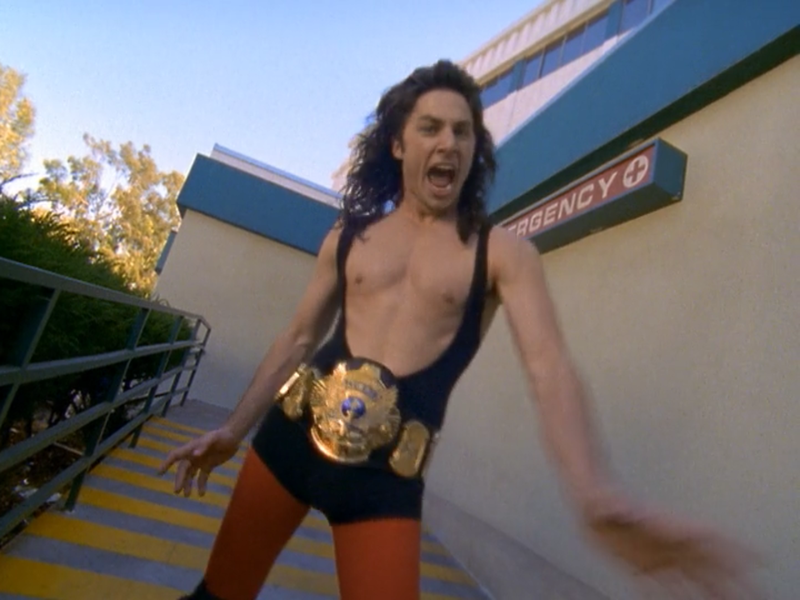 Bio: The Intern was a world champion wrestler. A malnourished world champion wrestler, but a world champion nonetheless. Maybe. Nobody ever knew who he won the title from or where the title came from. But one thing was certain, few were as aggressive as The Intern was on the mic.